One does not have to hit rock bottom to get treatment for a substance-abuse issue or addiction. It is enough to just recognise that there is a problem, in order to get help. This doesn’t seem like much of a step, but admitting to an alcohol, drug or behavioural addiction is not easy. Those who have seen a loved one suffer know that recognising a real problem and taking the path to recovery is harder than one thinks. Read on to find out more about your options for addiction treatment and rehab in Edinburgh. When addiction becomes serious, an inpatient treatment programme may be necessary. However, not all residential rehabs are alike. A lot of inpatients go through detox and think they are cured once and for all because their cravings are reduced. Unfortunately, detox is only the start of the treatment. Therapy and support-building, which follows detox, teaches one the skills necessary to survive future temptations. One must stay motivated until the very end, because relapse is common, especially among those who drop out of treatment early. Residential treatment centres will happily admit people with addictions of varying types and severity. In most centres, every patient is treated as seriously as the next, even if two people go through a different recovery process. At certain rehabs, the treatment programme will vary from person to person, because each individual has different needs and their own private challenges. For example, some people may be issued a dual-diagnosis, as they have an accompanying mental illness, while others might also have a secondary cross-addiction. Castle Craig Hospital treats addiction at every step, from the moment a patient is admitted and long after they leave. 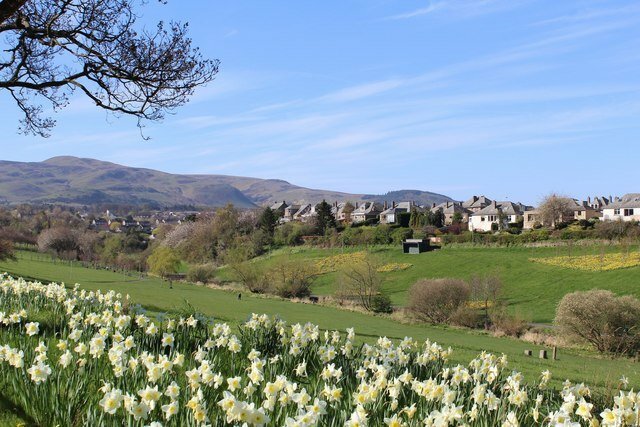 The private residential rehab is located less than 25 miles south of Edinburgh in a relaxing countryside setting. Less than an hour-long drive from Edinburgh, the hospital is not too far from home, but far enough to provide a change of scenery and prepare for a transformation in mindset. The benefit of being close to home is that family and friends can always visit during open hours. Alcohol and drug abuse are common in major cities, especially in Scotland, which has seen an increase in drug-related deaths over the past ten years, and is known for its highest rate of binge-drinkers in the UK. Having awareness of these facts, the local Edinburgh government continuously aims to improve access to addiction treatment resources available in the city. Multiple private and non-profit organisations in the city of Edinburgh provide support services and guides for those with addiction problems. Drugs – According to ISD Scotland, an NHS-based service, drug use is more common in cities compared to rural areas, and Edinburgh has a drug-use rate higher than the national average. Drug-related deaths in the city of Edinburgh have nearly doubled from 2007 to 2017, with the leading cause of deaths appearing to be accidental poisoning through overdose. Opiates, especially heroin, and benzodiazepines, seem to be the top drugs involved in drug-related mortality. Alcohol – Alcohol causes similar problems in Edinburgh, according to another ISD report. The city has one of the highest rates of alcohol-related hospital admissions after Glasgow, with about 90% being emergency admissions. The city has the highest rates of alcohol-related mortality in the country. Young people in Edinburgh are more likely to binge drink compared to their peers in other Scottish cities. Clearly, both drugs and alcohol are causing havoc in the city of Edinburgh. One may wonder why it is such a prominent problem, if help is available. A lot of people don’t realise they have a problem until it is too late. Therefore, it is important to identify and treat problematic behaviour before it negatively impacts one’s life. 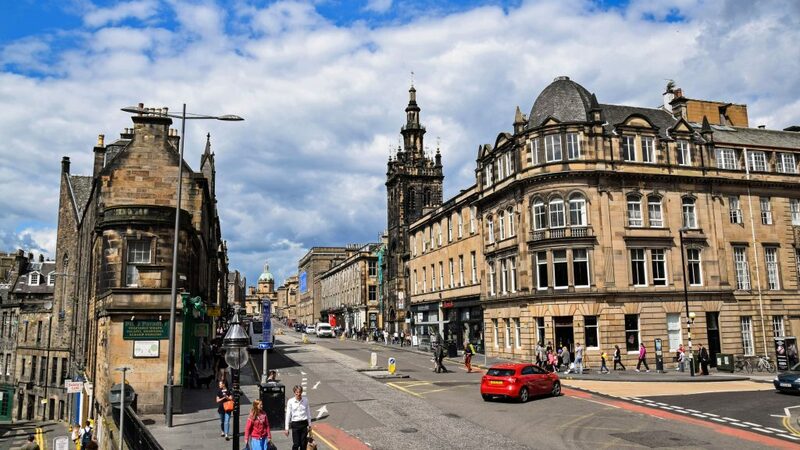 A populated city like Edinburgh has no shortage of resources for people who want to quit alcohol, drugs, or another problematic addiction, especially given the alarming statistics. It is important to remember that there is no wrong way to ask for help, however, people may find that certain options work better than others. Turning Point Scotland has a substance misuse service in Edinburgh as well as other cities, providing harm-reduction advice as well as assisting people with abstinence-focused recovery. Turning Point Scotland is a charity, and aims to provide a holistic service for those who need it, including helping with mental health issues and homelessness. There are even centres have a separate branch for helping young adults, or those up to 21-years-old, that specialise in friendly, non-judgmental help. MyCrew is one of the main youth-oriented addiction help centres in Edinburgh. No two addiction treatment programmes are alike, that is why it is important to spend a significant amount of time to research the right one for a patient’s needs. A residential setting isn’t the only way to beat addiction. However, quitting drugs, and even alcohol, without medical supervision can be dangerous. Going “cold turkey” after a period of heavy substance abuse can have adverse health effects. Detoxification under medical supervision may be necessary for some people. Oftentimes, people who believe they have a substance-abuse problem first try self-help techniques and attempt to tackle the problem on their own. While this can be done with the right discipline and determination, many people find addiction hard to overcome on their own. Severe addictions often require professional help or admittance to a private residential rehab, like Castle Craig Hospital. In case of emergency, the Edinburgh Crisis Centre is open 24/7 for anyone suffering from a mental health problem, including addiction. Counselling, as well as practical assistance, is available at the Edinburgh Crisis Centre by phone and in person. Although there are a few choices for a private residential rehab in Edinburgh, some patients find the treatment centres too close to the city, and therefore too close to temptation. At the same time, many patients hesitate to venture too far from their home. Battling addiction is already tough – why make it tougher by removing oneself from their home environment? On the other hand, some people desire to escape their daily turmoil, finding it the only option for getting better. When looking for addiction treatment or rehabs in Edinburgh, looking for free local substance misuse services can be a good starting point. For example, the Edinburgh Alcohol & Drug Partnership, which has plenty of information and advice for those who need help with their addiction. Their website also features a directory of locally based services that can assist those battling a drug or alcohol problem. Scottish Drug Services has an excellent and extensive directory as well. As an alternative, paying a visit to a local peer-support group, such as Alcoholics Anonymous in Edinburgh or Narcotics Anonymous, can be a good idea as well. Castle Craig has over 30 years experience treating patients, and its team of medical professionals, including experienced therapists and clinical staff, are here to help you on your journey to recovery. Here at Castle Craig, we believe in treating the person as a whole, which is why we have developed an effective treatment model using a mix of group, individual and specialist therapies such as anxiety and PTSD treatment, as well as offering complementary therapies like art therapy, music and equine therapy.